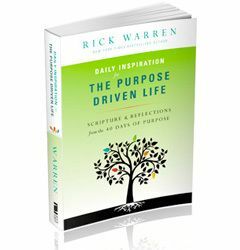 We’d like to give you a free copy of Daily Inspirations for The Purpose Driven Life by Rick Warren in exchange for sharing a little information about you! If you live in South Palm Beach County or North Broward County, we’ll send you a free copy, no strings attached. To send your book, we need your mailing info via the form below. You can rest assured that we won’t share or sell your information in any way.